Hewlett Packard Enterprise can boost manufacturing at its facility in Wisconsin if trade tensions with China escalate, CEO Antonio Neri has said. Speaking at an event in San Francisco hosted by Thomson Reuters, Neri said HPE, whose products are not directly affected by tariffs that took effect last week, could modify production plans if additional tariffs affect its equipment made in China. HPE produces three servers every 10 seconds globally. The United States and China slapped duties on $34 billion worth of each other's imports on Friday, with machinery, aerospace and other industrial companies among the hardest hit. HPE supplies servers, networking gear and other equipment to businesses and government agencies that host their own data centre. The vendor has also been working closely with Microsoft to help businesses connect their data centres to Microsoft's Azure cloud computing service. 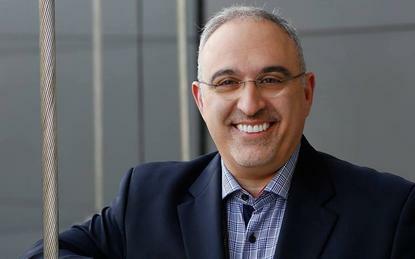 Neri, who took over as CEO at HPE earlier this year, has been moving the company away from low-margin businesses such as so-called "commodity" computer servers. Instead, it has focused on more specialised computers. Also, Neri announced that HPE is working with Swiss researchers to build a special supercomputer for the so-called "Blue Brain" research project that is studying diseases such as Alzheimer's. Neri also touched on U.S. immigration policy during the event. Neri, the son of Italian parents who was raised in Argentina before immigrating to the United States, said that he disagreed with the federal government's recent immigration policies. He said that HPE has a "process" to engage with the government but did not specify what the company was advocating for with the government. "I'm not in agreement with what is going on here," Neri said of U.S. immigration policy. "This is not how I saw the United States 30 years ago. That said, it's a tough, complex situation, so we have to work with lawmakers to make sure we have the right approach."